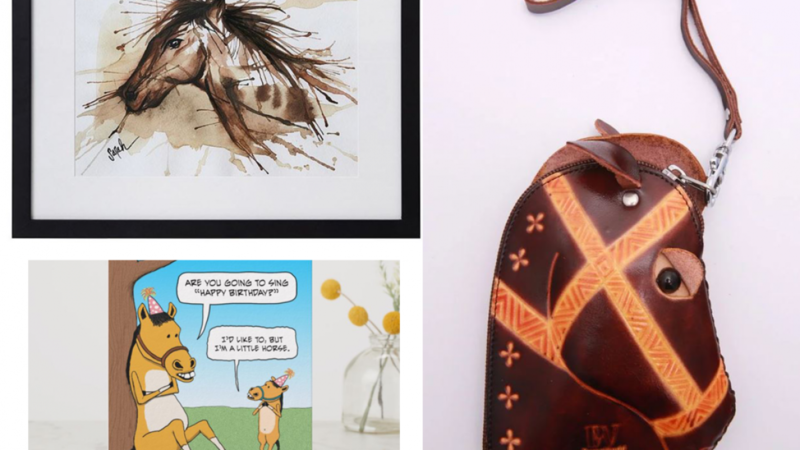 These Horse Themed Gifts For Your Favorite Horse Enthusiast are cool gift ideas for any horse lover. When buying a gift for any person it is important to consider the hobbies and preferences of that person. You may know that they love horses and this is a good place to start. There are still other things to consider before choosing a gift because there are other factors. Consider the age of the person because this matters a lot. If you are buying for a child you will want something that is age appropriate. Also consider the particular relationship that the persona has with horses. For example, do they own horses, admire horses or work with horses? Knowing the answer to these questions can help you select the perfect gift. The horseshoe is always a great gift because it is widely recognized as a symbol of good luck. 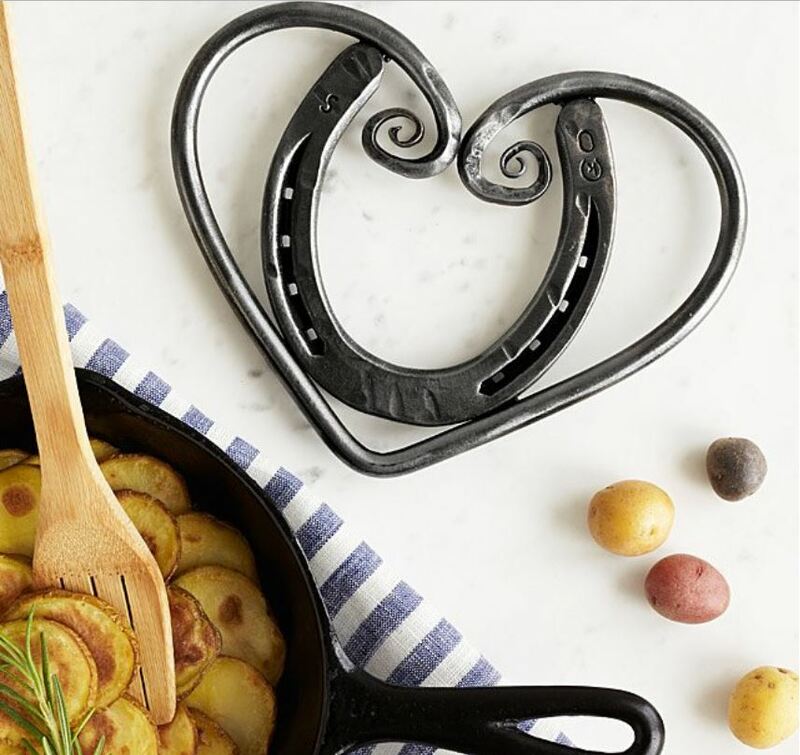 This beautiful trivet has been created using a upcycled horseshoe and it is a beautiful example of modern blacksmithing. 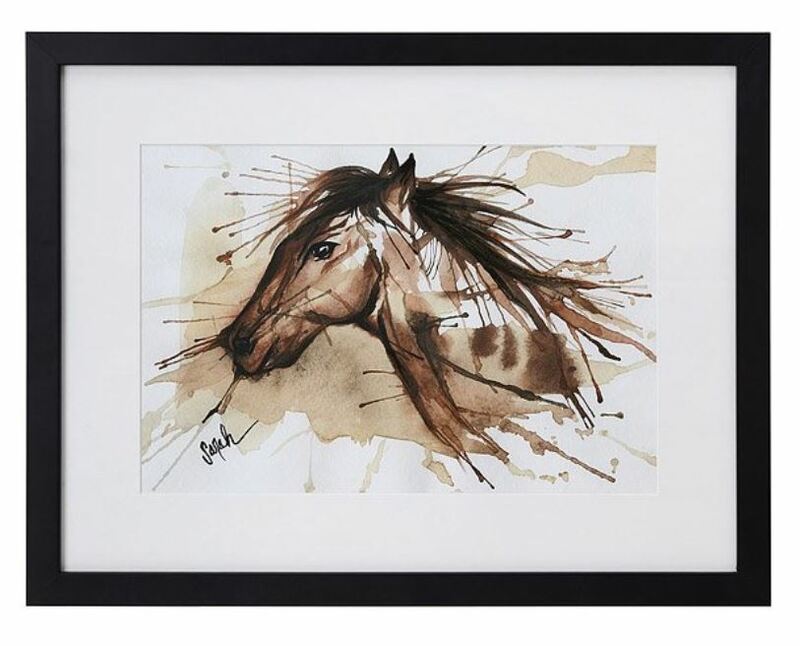 This beautiful watercolor artwork is sure to be adored by anyone who loves horses. It is part of a series that is inspired by horses throughout history. Artwork is a wonderful gift idea for most occasions. It is an especially good choice as a wedding gift or a housewarming gift. 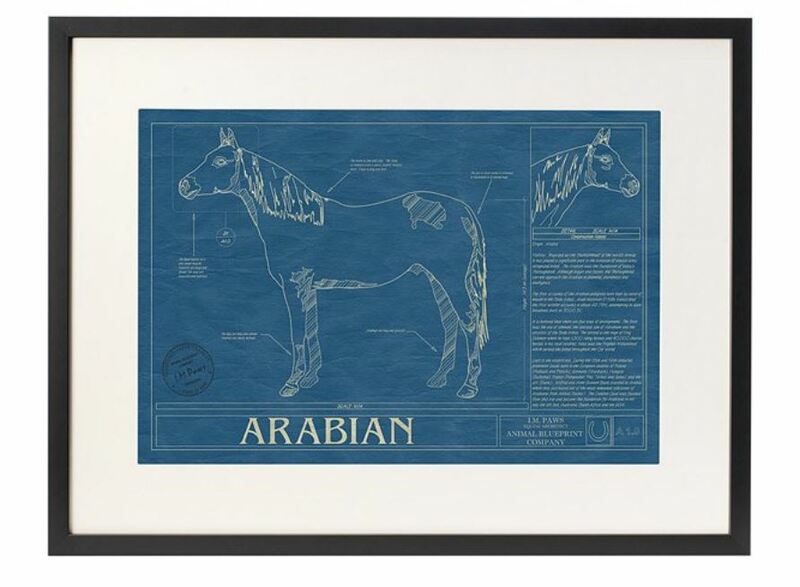 If you or someone you has a particular favorite breed of horse then this cool blueprint is a fun wall art idea. You can choose between Arabian and Thoroughbred when ordering to suit your preference. This is a nice work of art for any home or office. 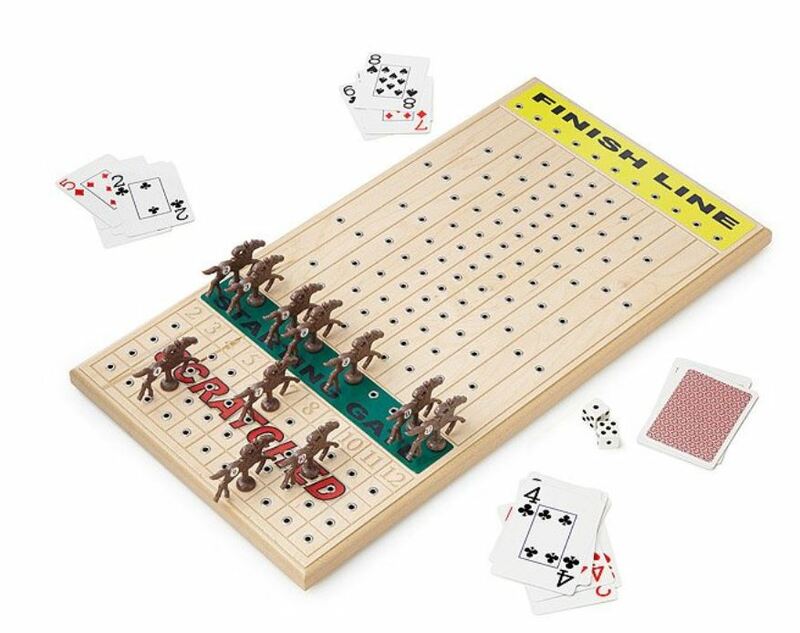 This fun horse racing game is a game of chance that is sure to be enjoyed by anyone who loves the real thing. It is fun to play and it looks really cool when displayed on a side table or desk. Anyone with a passion for horse racing who also enjoys board games and card games is sure to think that this is really cool. 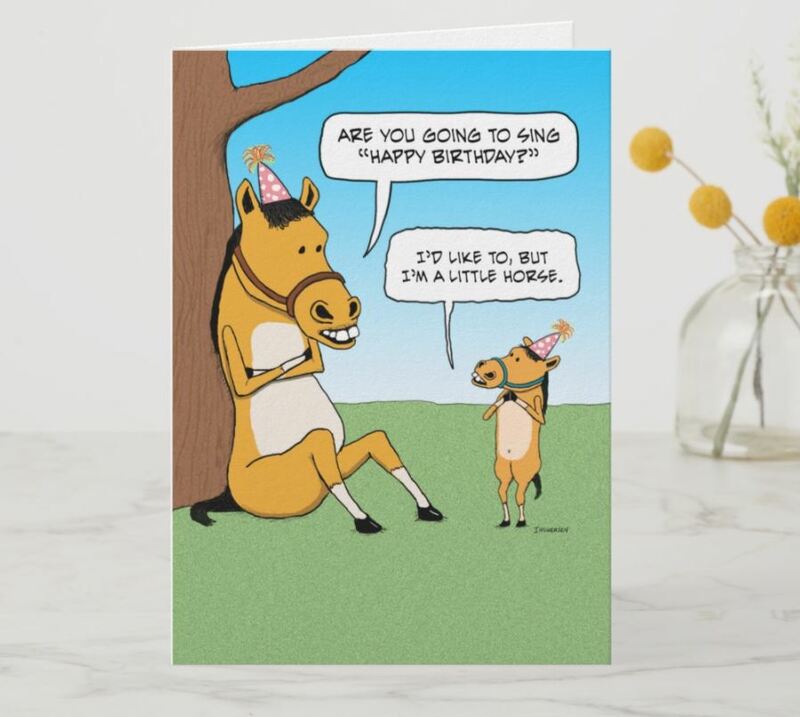 If you are looking for a fun birthday card that features horses then you will love this one. It features two horses and a cute joke that is sure to be enjoyed. You can also customize this greeting card by adding text and image to the inside of the card. This is a wonderful way to create a card that is both personal and unique. 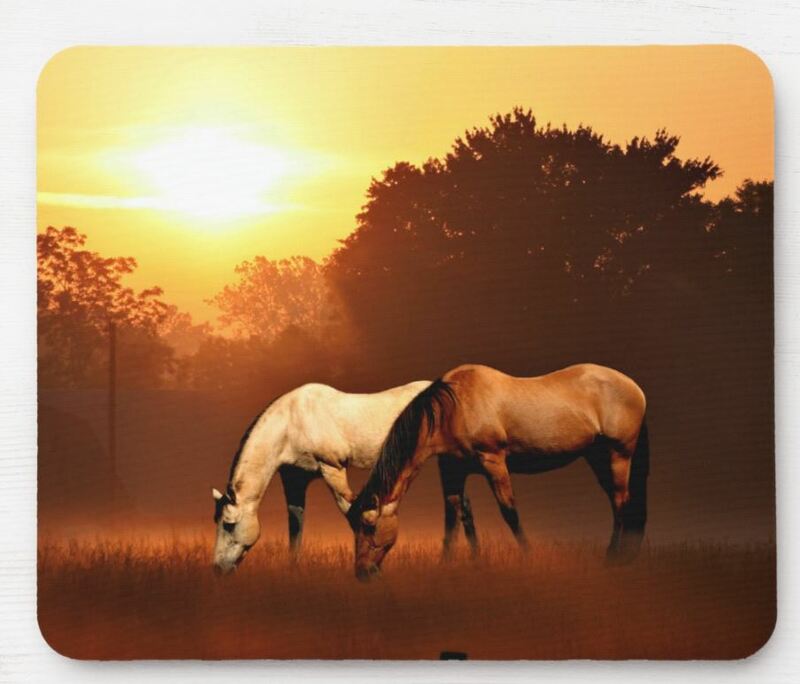 This horse mouse pad features a beautiful sunlit, country scene and two horses. A wonderful idea for any country or rustic styled office that is sure to look fantastic. This is also a cool and interesting gift idea for anyone who adores horses as it is sure to be used. 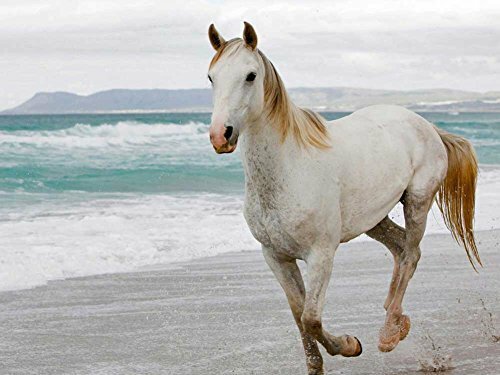 This beautiful canvas print is sure to be adored by any horse lover. It captures the free spirited feeling that inspires many people to love horses so much. This is a gift that is sure to stand out because it is truly unique. 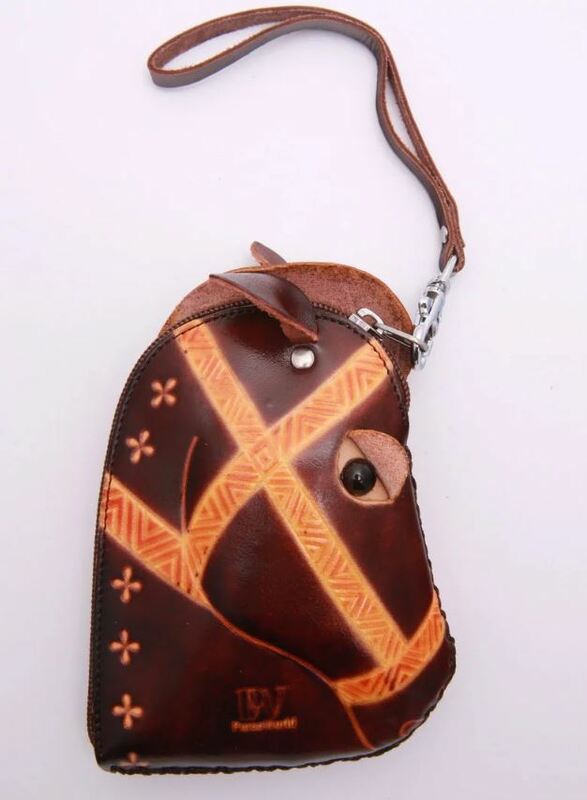 A beautiful, handmade bag that any horse enthusiast or country girl is sure to be proud of. The purse can hold cash, coins and any other little items that you carry with you. It measures 13 cms by 9 cms x 3.5 cms. Because each one is handmade there are slight variations so you know the purse you receive will be truly unique. 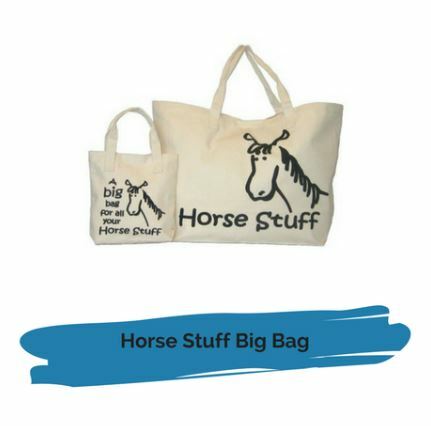 This big horse bag is designed to hold all the extra bits of riding gear that you may need. The perfect place to put clothing, boots, spurs, bridles, whips or anything else that you need to have on hand. When it is not in use you can fold the bag and place it in the tiny bag provided. If you enjoyed this article then you may also like the following.